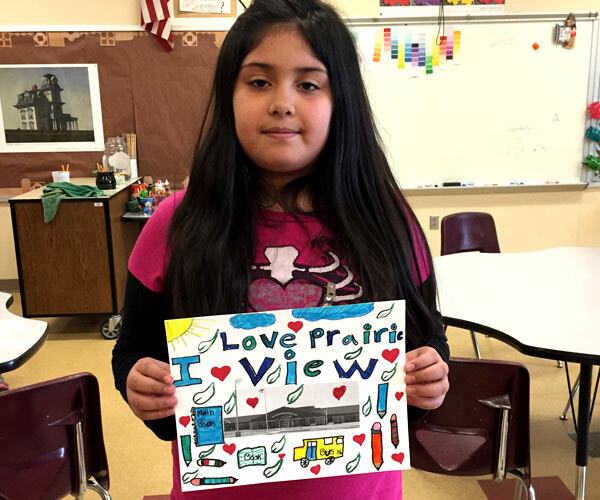 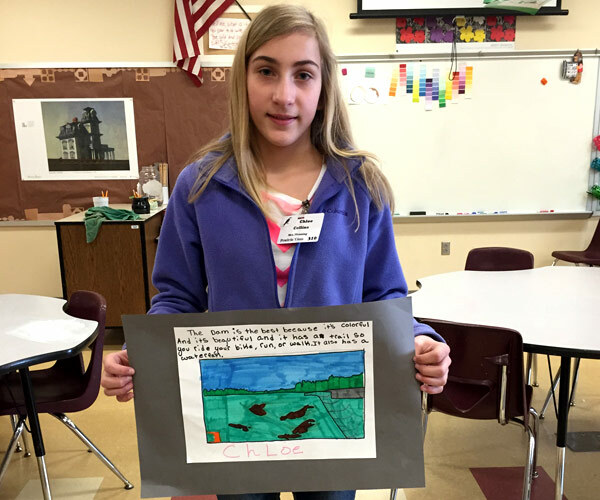 Last year, we had the pleasure of visiting Breanna Daugherty’s fourth and fifth grade art classes at Prairie View Elementary School. 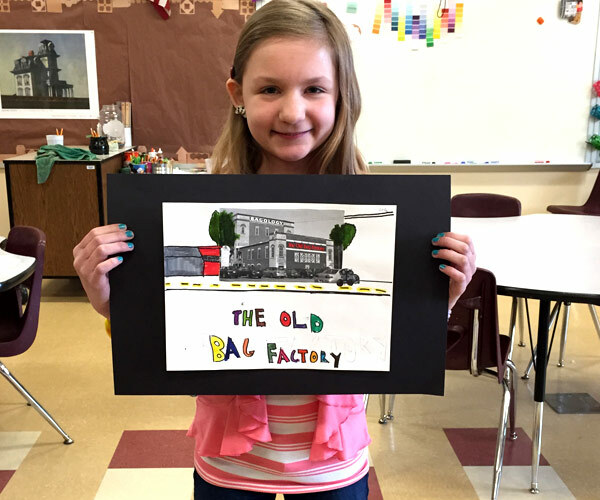 In addition to revisiting a flood of flashbacks to our own elementary art classes (take us back! 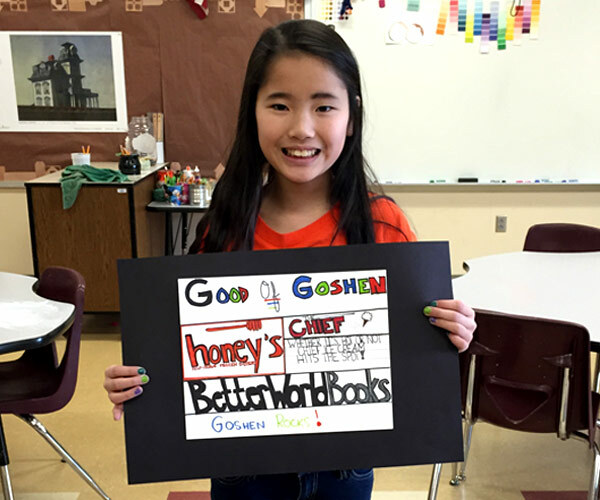 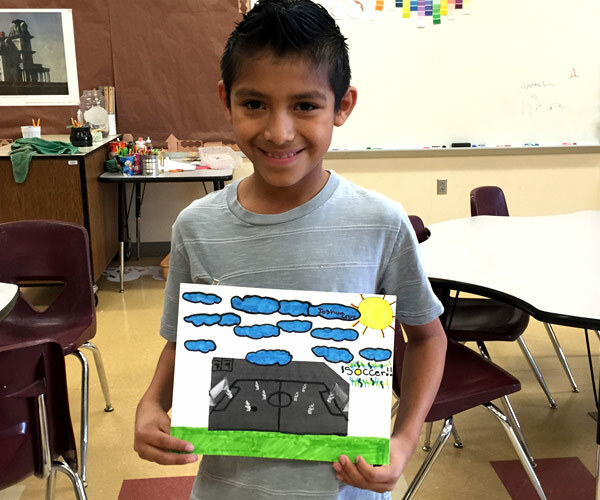 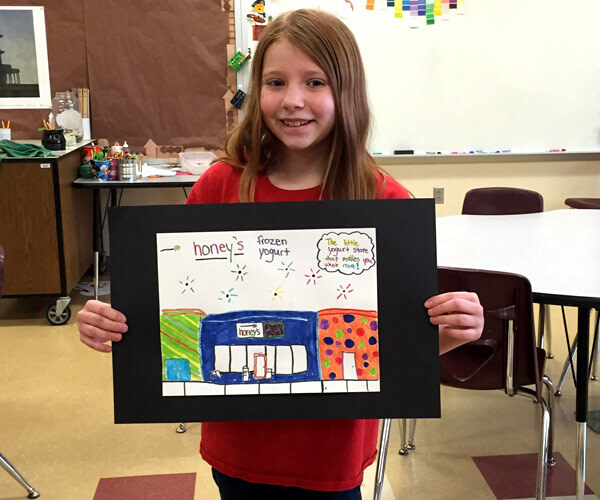 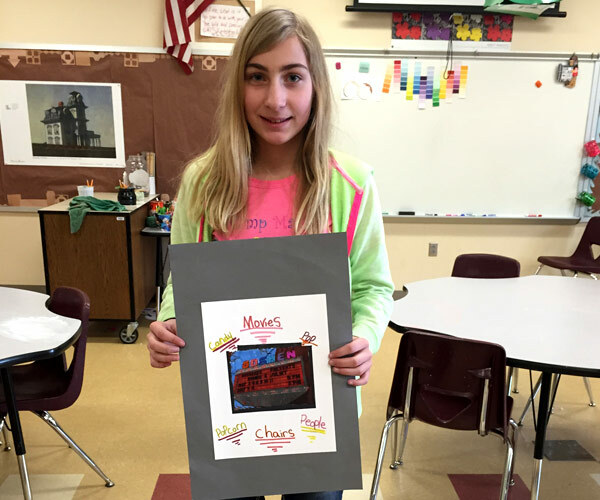 ), we asked the students to draw, paint, or color pictures of their favorite places in Goshen. 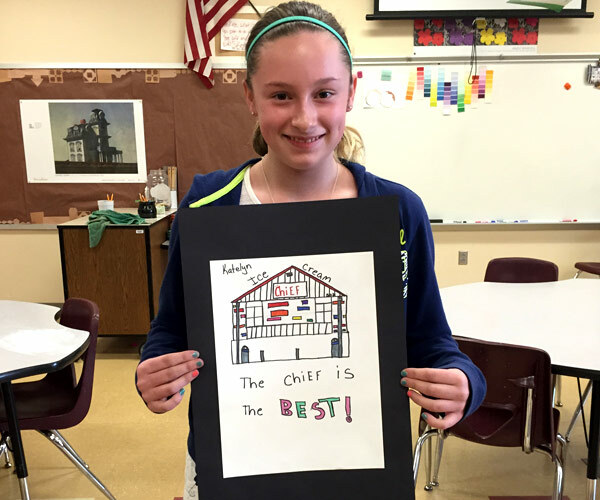 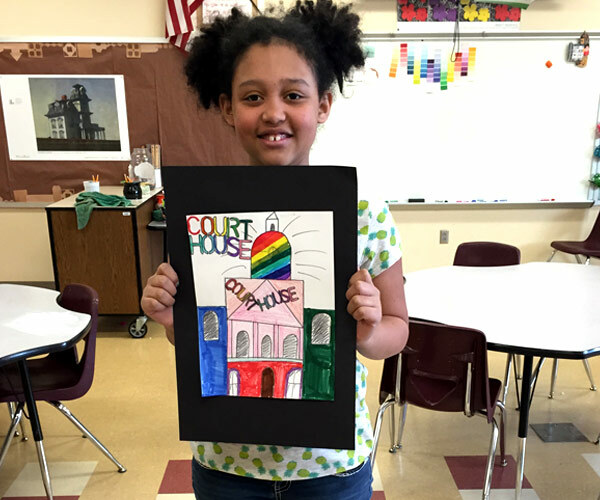 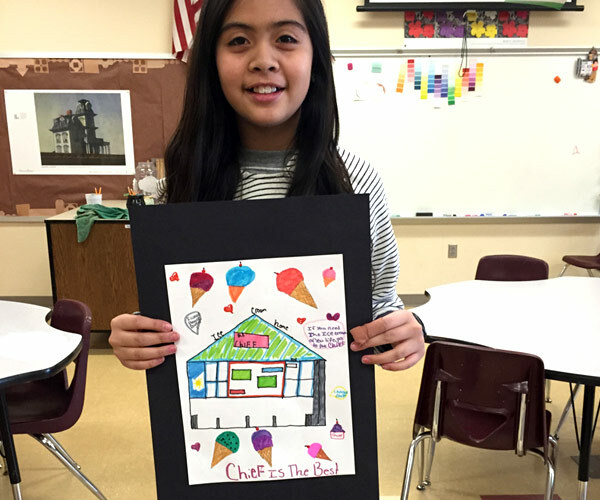 The students’ masterpieces varied from The Chief ice cream to the color-changing top of the Courthouse. 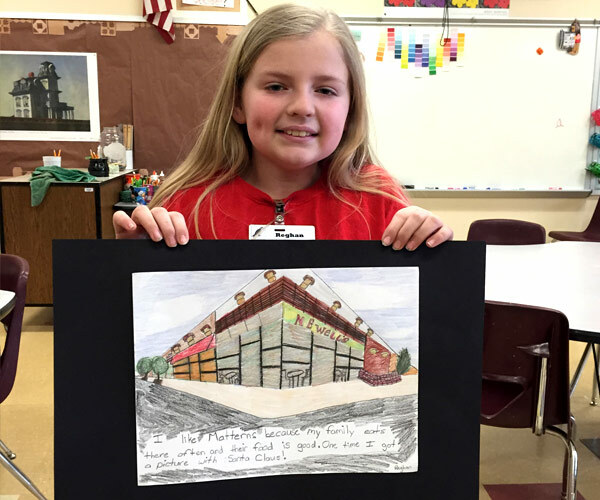 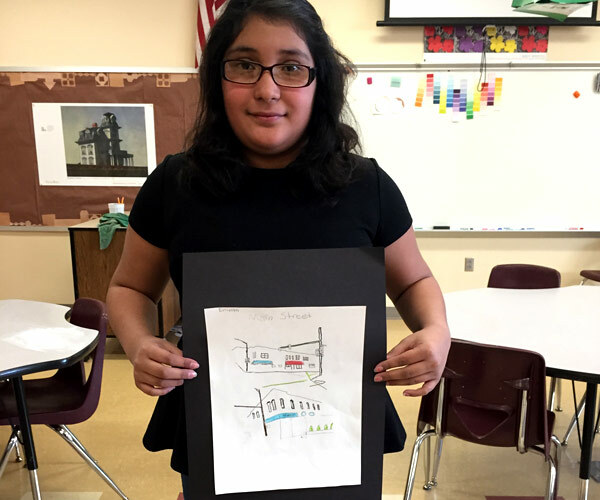 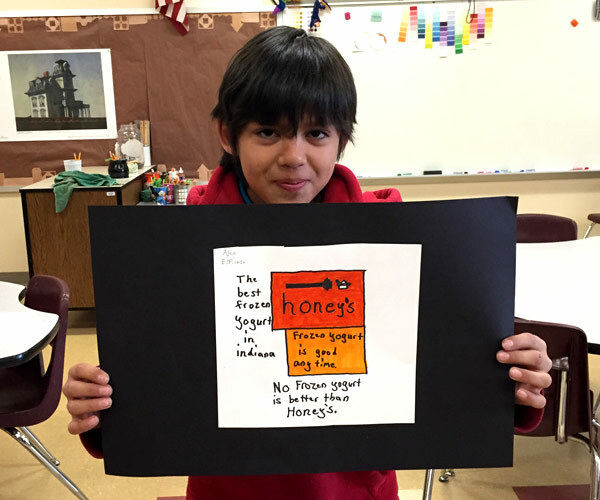 It was clear to us that the students had a deep appreciation for their hometown — but we’ll let the artists speak for themselves.